Managing semistructured data requires more flexibility than traditional database systems provide. Recently we proposed a query language for semistructured data represented as labeled directed graphs. This language is based on matching a partial schema into the database. In this paper we describe how we achieve this matching using constraints. We show how to match a schema into a database without using any additional information. In order to match schemata more efficiently, we are able to incorporate results of previously matched schemata. To this end, we formulate a sufficient condition for schema containment and describe how to test this condition, again, using constraints. We show how the knowledge of schema containment can be used for optimization. As a theoretical contribution we prove that, under some circumstances, schema matches can be found without any backtracking and in polynomial time. This research was done while André Bergholz was at Humboldt-University Berlin. It was supported by the German Research Society, Berlin-Brandenburg Graduate School in Distributed Information Systems (DFG grant no. GRK 316). André Bergholz is now supported by the German Academic Exchange Service (DAAD program HSP III). 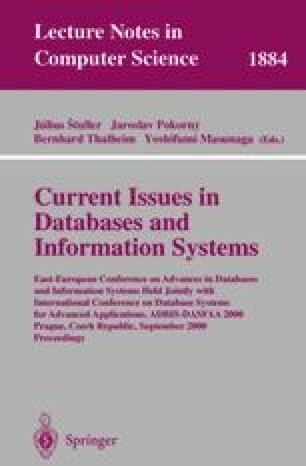 ECLiPSe-The ECRC Constraint Logic Parallel System, http://www.ecrc.de/eclipse/.